SAN FRANCISCO (AP) — Apple has bought Shazam, the maker of a song-recognition app that Apple's digital assistant Siri has already been using to help people identify the music playing on their iPhones. The companies didn't disclose the price of the acquisition announced Monday. Technology news site Recode previously reported Apple is paying about $400 million for Shazam, citing three unidentified people familiar with the deal. 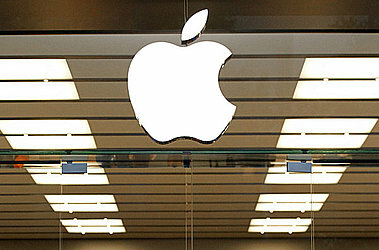 Apple Inc. issued a statement describing Shazam as "natural fit" with its services. "We have exciting plans in store, and we look forward to combining with Shazam," Apple said. The Cupertino, California, company declined to say whether Shazam's app will still be available after the deal closes. Some of Shazam's features conceivably could be blended into Apple's music streaming services, which has accumulated more than 27 million subscribers since the company created it in 2015. Siri began drawing upon Shazam's technology to answer questions about songs as part of a 2014 update to the iPhone's operating system. The Shazam deal marks Apple's biggest acquisition in music since paying $3 billion for Beats Electronics' line of headphones and music service in 2014. Digital services have been playing an increasingly important role for Apple as the sales of iPhones — the company's main moneymaker — have slowed. Software and other services generated $30 billion in revenue during Apple's last fiscal year, a 23 percent increase from the previous year. Shazam was founded in 2002 and made one of the first apps for the iPhone. It has about 250 employees working at its London headquarters and seven other offices in the U.S., Australia and Germany.